The TTVJ Micro USB to Micro USB portable cable is a great portable micro USB cable for use with the Glacier amplifier and your phone! 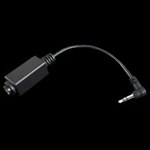 The Nightscout TTVJ Micro USB to Micro USB cable is ideal for use with the Nightwatch monitoring system. The Grado Mini Adapter cable is ideal for using home headphones with portable equipment. 30 Pin Dock to Mini A USB 4"
30 pin Apple docking connect 90 degrees to 90 degree mini USB cable 4"
30 Pin Dock to USB 2 1/2"
A nice high quality mini to mini from Cardas. Use this adapter to use your headphones with portable equipment. The DiMarzio High Definition Cable is the real deal and a real deal! Great in any system. The Cardas Parsec is a great value and a very fine coax digital cable! Cardas makes a great HDMI high speed audio/video cable! Here it is!!! A very good 90 degree mini to mini cable from Cardas! The Cardas Crosslink provides a n inexpensive way to connect your system with decent cables! Ideal cable for the USB Disruptor! The M-Path is an amazing cable and one of the top value buys in all of high end audio! our demo 5 ft CablePro Reverie HiFiMan headphone cable. The Cardas Headphone cable is a great way to upgrade your headphones! 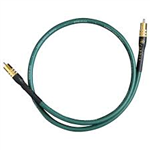 The High Definition speaker cable from DiMarzio is a very good cable at a great price. Cardas Clear Light PAI 6"
A great pair of XLR interconnects!